Through Food & Wine Trails, two California wineries are offering European cruises with complementary visits to their ancestral homes in Croatia and Chateauneuf-du-Pape, France, this year. Tablas Creek Vineyard wine maker Neil Collins is taking his group to the winery’s sister winery, Chateau Beaucastel in Chateauneuf-du-Pape. The day is co-hosted by Beaucastel’s owners, the Perrin family who also co-own Tablas Creek Vineyard in Paso Robles, Calif. It will include tastings of the estate wines and a lunch prepared by the winery's Michelin-rated chef. This will be Tablas Creek's first wine cruise. It sails for seven days along the French and Italian Riviera onboard the 650-passenger Azamara Journey. 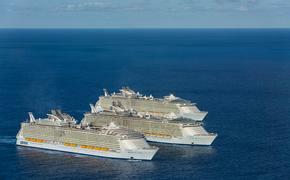 The cruise departs Barcelona on July 18. Fares start at $2,196 per person, double, including a private, onboard wine program. Violet Grgich of Napa Valley’s Grgich Hills Estate is inviting her cruise guests to join her for a visit of her family's winery on Croatia's Dalmatian coast. The Grgich wine group sails from Venice onboard Oceania Cruises' 1,200-passenger Riviera, which departs on Sept. 7 and disembarks in Barcelona on Sept. 19. Two days into the cruise is the port of Dubrovnik, the ancestral home of Grgich’s father and the winery patriarch Michael Grgich, who turns 90 this year and came to fame as the winemaker whose wine beat the French in the 1976 Judgment in Paris. This complimentary excursion will include a guided tour of the UNESCO World Heritage city of Dubrovnik, a Grgich wine-paired lunch at a local restaurant and a visit to the family’s winery, Grgic Vina. The Grgich wine cruise price starts at $5,374 per person, double, including the 12-day cruise; roundtrip airfare from 26 U.S. cities; and a private, onboard wine program. Travelers who book their cruise by April 30 will also receive complimentary ship gratuities (a value of $360) and a $100 shipboard credit.